We all know how this goes. You are lost down that hole on Instagram when you see it. The image that stops you in your tracks. Like! Follow! That is exactly how I found this latest artisan, Atelier Février. 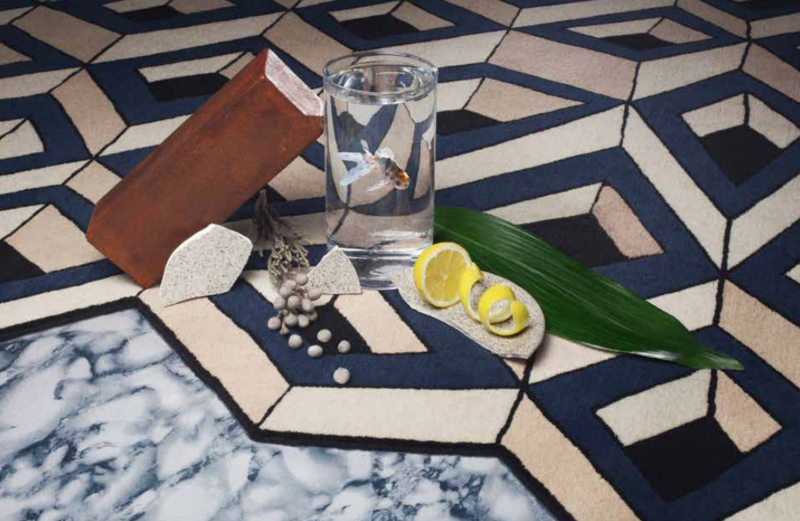 They make some of the most unusual, stunning, never before seen handmade rugs. 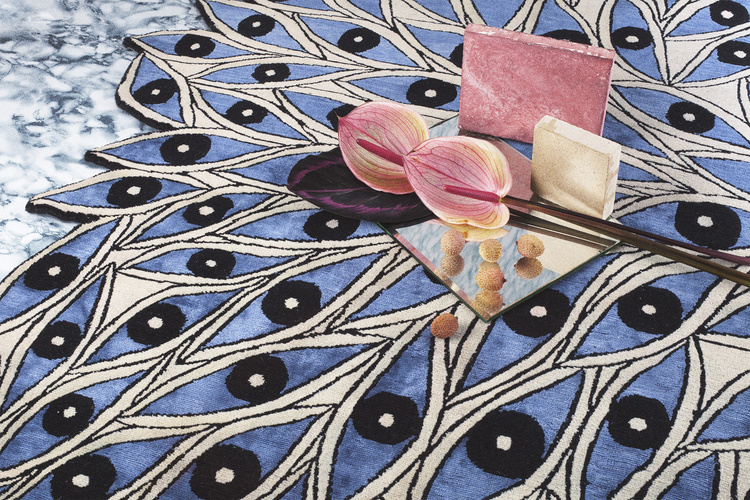 Partners in real life and design, Florian Pretet and Lisa Mukhia Pretet founded Atelier Février on the foundation of uniquely modern rugs made with traditional craftsmanship. Florian graduated from the Parisian Fashion School Studio Berçot before moving onto working for a prestigious French fashion brand where he ended up in Kathmandu, Nepal. Lisa Mukhia was born and raised between Darjeeling and Kathmandu. Self described as a keen entrepreneur with a strong glove for fashion and craft, she spent 15 years living in Nepal. Here she learned the skills of her exposure to vernacular techniques, brought forward her fascination for traditional crafts that have been passed along for generations. 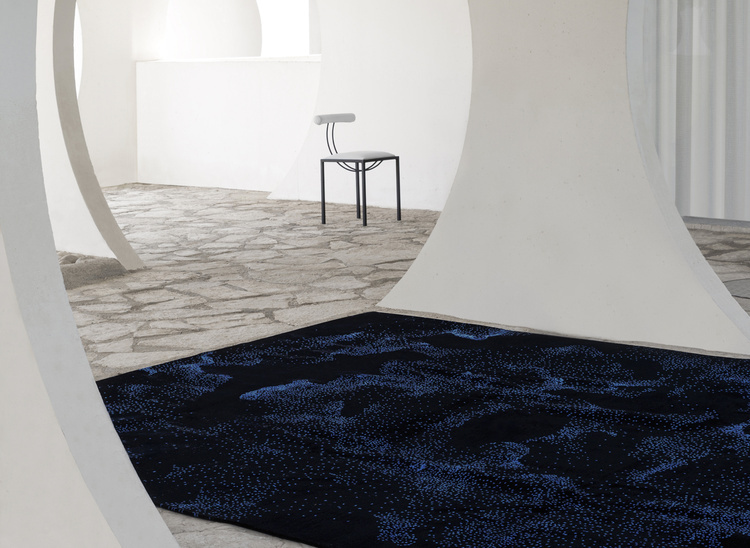 THE ``RICKY`` RUG LOOKING AT HOME IN IT'S CHIC ENVIRONMENT. 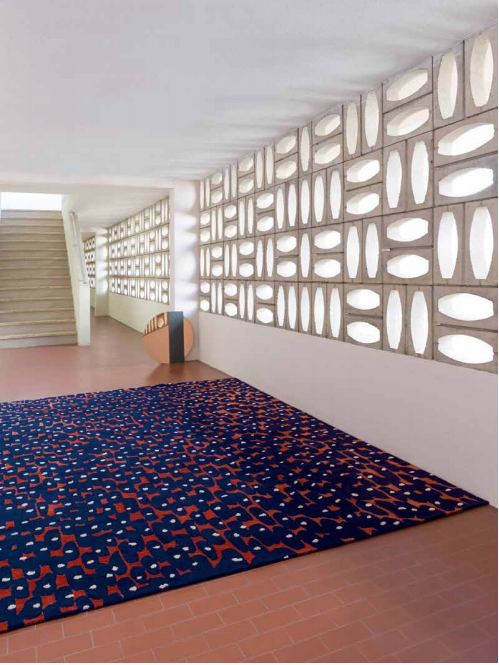 THESE RUGS ARE NOT CONFINED TO BASIC SHAPES AND PATTERNS.Love it! 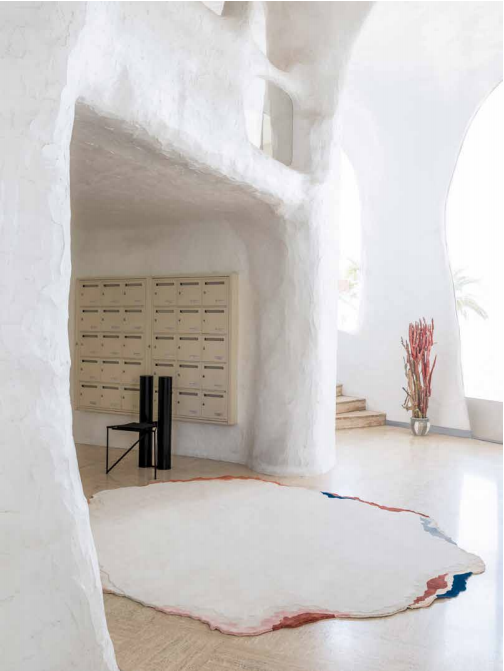 LOVE HOW THIS RUG DESIGN REFLECTS THE INTERIOR. They are both inspired by their common passions for fashion, art, expertise, and above all craft. 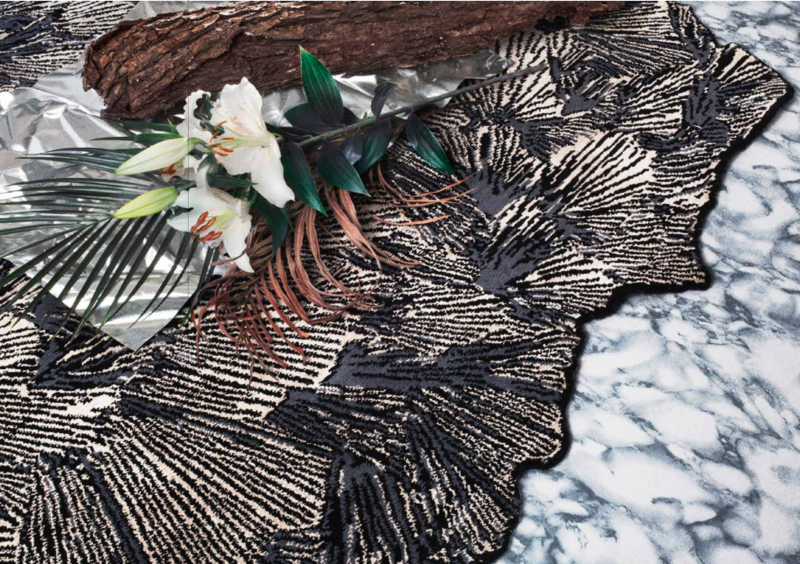 Together they aim to create luxurious timeless rugs. Inspiration comes by that of every day life, and them have a desire to not follow trends but create patterns that reflect their unique color palettes, detailed patterns, and original shapes. I WANT THIS RUG AND THE ROOM TO GO WITH IT! 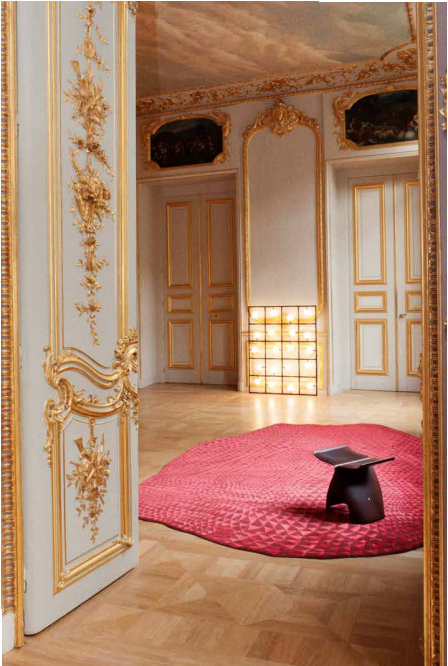 Each rug at Atelier Février can be personalized or custom-made. Working alongside the designer, they will draw out the rug you envision where you’re able to select the color,size, and shape. The designer guides you through the process to ensure you’re building your dream rug, before the beautiful rugs are hand-knotted in Nepal. WHAT GORGEOUS DETAILS AND COLORS! The design process for them starts with a hand drawn sketch. From the paper, it transforms into a real sized drawing that that begins being hand-knotted by expert weaves in Nepal, a team comprised of around 50 people. 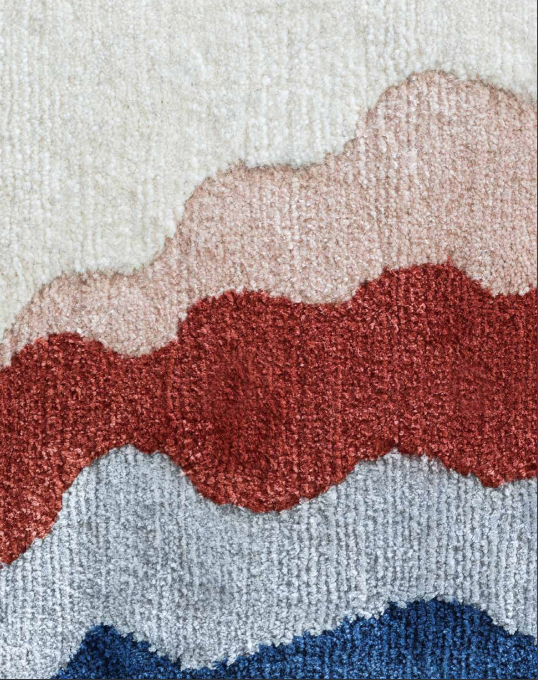 Each of the Atelier rugs reflects originality and uniqueness to their craftsmanship nature in a way I haven’t seen before. From the premium wool sourced from Tibet, to the finest silk brought in from China, these rugs are truly crafted in with the finest materials. Together these elements protect the rug to age well, and add durability and luster. The whole process takes a minimum of 14 weeks. 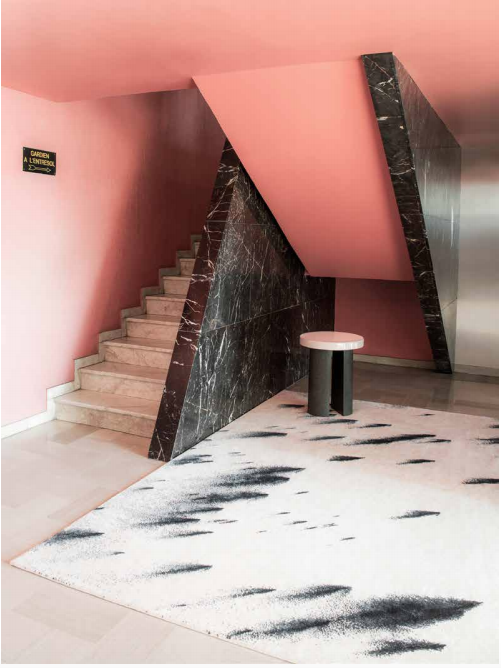 One other element that I love is that the rugs are fair trade and environmentally friendly, which are also core foundations to Atelier Ferrier through the use of only natural fibers and ethical work treatment of their teams in Nepal and Tibet. Brilliant work! Shall we all go out and order one now? I say yes! 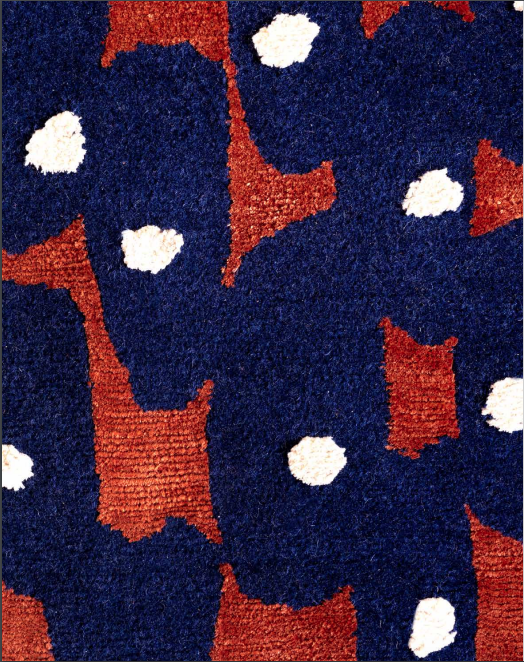 A CLOSE UP OF THE NUEZE RUG FROM THE À POINT COLLECTION.